It seems that there is a new jailbreak in town but should you use it? While iPhone and iPad owners may now have access to this so called Xiaolian iOS 11.2.6 jailbreak, a number of well-placed individuals in the jailbreak community are advising against it. And there’s a good reason as to why they are doing that. 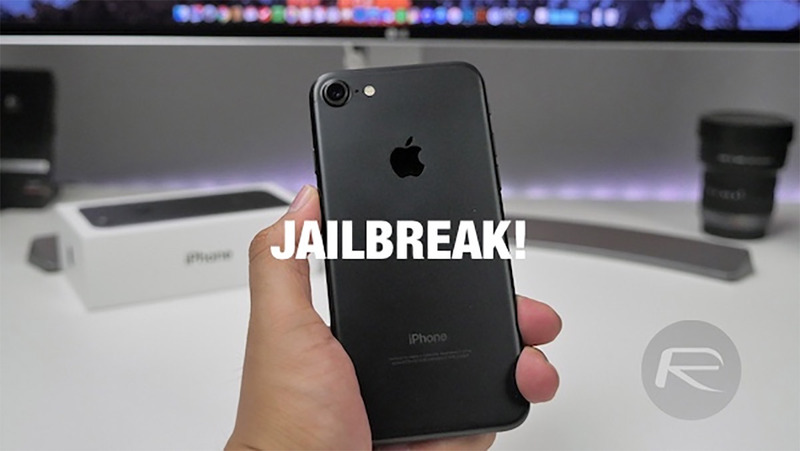 The world may have been waiting patiently for the Electra iOS 11.3.1 jailbreak release, but a new “team” has swooped in and released what is being called the Xiaolian jailbreak. The same developer has also stated that the new jailbreak comes complete with a lot of compiled binaries inside which obfuscates a lot of what is actually going on internally and “makes it non-compliant with the license.” An investigation into the codebase has also shown that the jailbreak seems to ship with a least one helper style implementation, which we’ve previously seen with older jailbreaks from Chinese teams, such as Pangu. And if all that wasn’t enough, further investigation by Pwn20wnd has revealed that the jailbreak has actually been put together by @ijapija00, who doesn’t have a good track record or reputation in the jailbreak community. 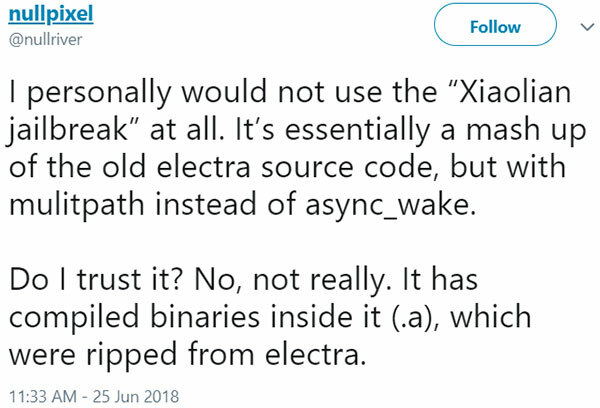 So yes, the general consensus appears to be that it’s really not in the best interests of anyone to trust this particular jailbreak and to sit patiently and wait for the new version of Electra to drop in the coming future. Our advice? Avoid Xiaolian at all costs and wait for the real deal (Electra). You have been warned. Maybe it works 100% but the slow “electra team” dont want us to use it. Little kids. Boooo. Why didn’t you guys just say that to begin with? Well you got the hang of that lol. And idk why it was changed could have worked better in the context.